It takes a special person to be a healthcare professional. Empathy, attention to detail, great interpersonal skills, flexibility, physical endurance and an ability to respond quickly are just a few of the traits that are found in successful healthcare providers. Graduates of our programs have continued their education at such highly regarded colleges as Rutgers University, East Stroudsburg University, Kean University and the School of Professional Studies, The City University of New York. Compassion, dedication, service and the highest level of care. These are the principals that guide all of our Health Science Education programs. Whether you are looking to become a registered nurse or currently work in the healthcare field and want to enhance your skills, we have programs to meet your needs. Our faculty bring a wealth of knowledge and practical experience to the classroom and clinical setting. 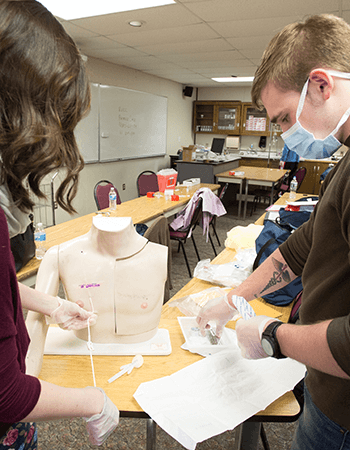 The diverse faculty brings expertise in such specialties as maternity, mental health, oncology, optometry, pediatrics, trauma, health information technology, medical assisting and fitness. TEAGLE grant project, Janssen Pharmaceuticals grant for Diabetes awareness. Schoolhouse project, funded by the University of Pittsburg Medical Center. Grant to disseminate information about Emergency Preparedness. Research poster presentation at Saint Peters University "Hypertension". AWHONN (Association of Women’s Health, Obstetrical, and Neonatal Nurses) 2001 to present. Dougherty, S., Whaley, J., Youngblood, A, Pickoff, R. Patient Safety and Quality Healthcare, Nov/Dec. 2007, Delivering System Transformation: Part 1: Respect, Communication & Best Practices. Dougherty, S., Whaley, J., Youngblood, A., Pickoff, R. Patient Safety and Quality Healthcare, Sept/Oct. 2009, Unit Transformation Improves Safety for Mothers and Infants. Youngblood.Ardath, Supporting a Devout Catholic Couple Through the Birth of Their Anencephalic Infant Abstract published in the Perinatal/Neonatal Nursing: Finding Our Way Toward Evidence-Based Practice Conference Bulletin. Monmouth University. West Long Branch, NJ. June, 2012. Youngblood, Ardath. Code White: Process and Protocols. Abstract published in the Perinatal/Neonatal Nursing: Finding Our Way Toward Evidence-Based Practice. Monmouth University Conference Bulletin. West Long Branch, NJ. June, 2012. Youngblood, Ardath. Respect, Communication and Best Practices: Preventing the Preventable. Abstract published in the AWHONN National Conference Supplement: Papers and Posters Presented at the AWHONN Annual Convention . Washington, D.C., June, 2012. 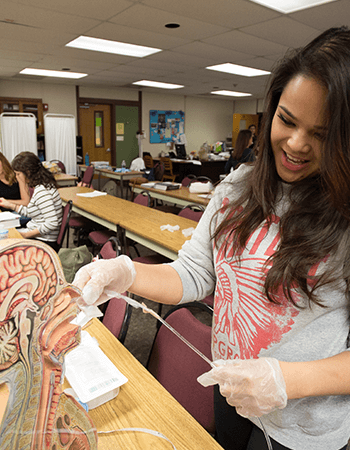 Health Science Education Information Sessions are held annually and Nursing Information Sessions are held monthly during the Fall and Spring Semesters. The Health information Technology program is accredited by the Commission on Accreditation for Health Informatics and Information Management Education – CAHIIM. 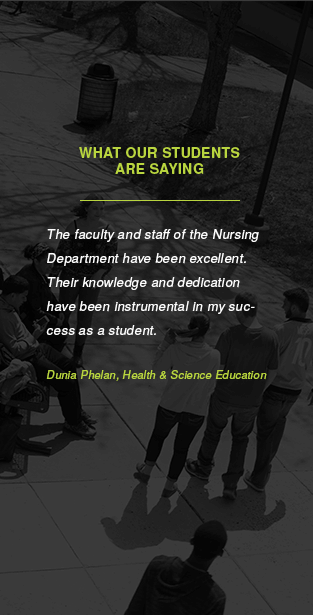 The RN program is accredited by the Accreditation Commission for Education in Nursing, Inc. (ACEN) and NJ BON. 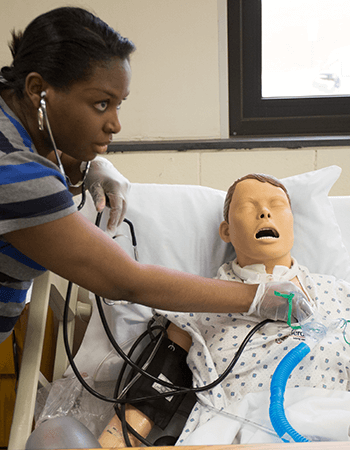 Raritan Valley Community College (RVCC) offers grant-funded training opportunities through a health professions grant that can help you start a career in healthcare. This initiative, provided through the New Jersey Health Professions Consortium (NJHPC), is designed to reduce roadblocks and help individuals and their families obtain education, training and employment in a wide range of healthcare occupations. This opportunity is offered through a Trade Adjustment Assistance Community College Career Training (TAACCCT) grant, which is funded by the U.S. Department of Labor. It is a region-wide capacity building initiative with a goal of strengthening and expanding occupational training in the healthcare sector through workforce readiness and integrated basic skills preparation for unemployed, underemployed or low income individuals, including TANF and GA recipients, who meet the eligibility requirements. Participants in the program will receive the training, and practicum placement that are essential to obtaining desired careers in the health care field and one-on-one job placement advisement. Partnerships are being developed with local health care employers focused on launching graduates into their new careers. Contact us today to learn more about the program.